What is this rod for? I also see this rod on a RC helicopter. 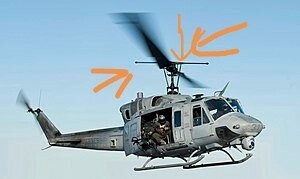 It is a stabilizer bar used on some two blade helicopters. The spinning weights want to stay in one plane and are used in conjunction with the cyclic to control changes in pitch and roll. Depending on how it is designed, it counters these changes making the helicopter more stable (less maneuverable). 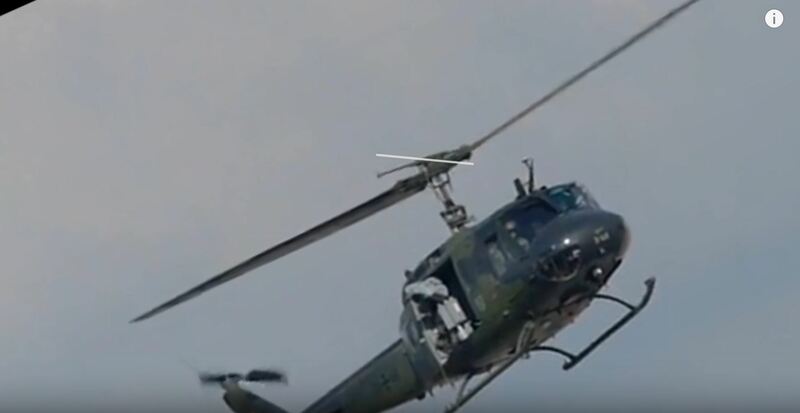 Can someone identify these two Bell helicopters seen in the Czech Republic?